Hey, Great article in the Washington Post today discussing costs of health care and choices people make. 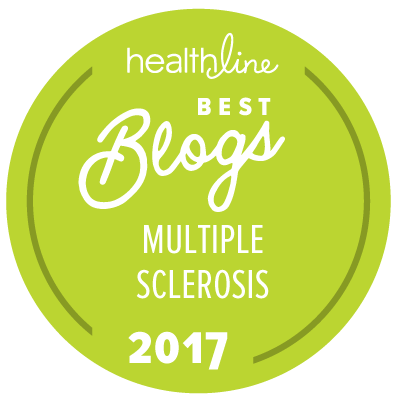 Two multiple sclerosis patients were interviewed and featured within this article which explains why I'm presenting it in full here. Oh, and btw, one of those MS patients is ME!! To monitor the multiple sclerosis attacking Ann Pietrangelo's central nervous system, her doctor recommends an annual MRI. Last year, the 49-year-old Winchester, Va., woman had to pay a $3,000 co-payment to get the imaging done. This year, she's skipping the test. Even with insurance, it's more than her budget can tolerate, especially with the roller coaster on Wall Street devouring her retirement savings. "I'm doing everything I can to avoid going to the doctor," she said. From Park Avenue dental offices to the Arlington Free Clinic, the global economic crunch is forcing a growing number of Americans to scale back on medical care. Consumers are attempting their own form of triage, pushing off seemingly less-urgent services in the hope that their financial health will improve. But the danger, say physicians, is that the short-term savings may translate into more severe long-term health implications. At the extreme are cases such as the Texas woman who went to the hospital complaining of back pain. Physician Doug Curran immediately spotted cancer on the X-ray. "She'd had a lump in her breast for a while, but things were tight and she said she couldn't get it looked at," he recalled. "We're going to see more of that." Nationwide, the number of consumers who went without a prescription, tapped into retirement savings to pay for health care or skipped a doctor visit for themselves or a child has risen since last year, according to a survey released this summer by the Rockefeller Foundation and Time magazine. One-quarter of the 2,000 respondents, for example, said they had decided not to see a doctor because of cost in 2008, up from 18 percent the year before. Ten percent said they did not take a child to the doctor for the same reason. "When the economy is in the situation we have today, people make tough choices," said Kansas Insurance Commissioner Sandy Praeger, who is head of the National Association of Insurance Commissioners. "Things are just not going to get done." After nearly a decade of steady -- often double-digit -- increases in drug spending, the research company IMS Health this summer recorded the first actual decline. And a survey by the Center for Studying Health System Change found that nearly 20 percent of Americans report having difficulty paying medical bills. Layoffs, shrinking bank accounts, rising medical prices and widespread anxiety that the economy is likely to worsen are prompting people to split pills, forgo screening tests such as colonoscopies, delay elective procedures such as laser eye surgery and turn to home remedies as cheaper alternatives. Hospitals report that unpaid medical bills are on the rise, pharmacists see a spike in cheaper generics, and demand for low-cost care is climbing. Falls Church music teacher Lisa Emrich is coping with a dwindling number of piano students by cutting back on physician visits. 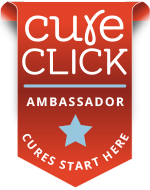 "I have too many doctors and specialists who all wish to see me twice a year," said Emrich, who is being treated for multiple sclerosis and arthritis. "Sometimes I might skip one if I'm doing well in that area. . . . When I see my neurologist, I'll ask about my arthritis, which doesn't make much sense. But I try to get as much as possible out of my doctor visits." For Sandra Harrington, a waitress from Oxon Hill, the trade-off comes in treatment for an infected eye. Her doctor prescribed administering steroid drops twice a day. But as her tips have shrunk, she has decided that applying the $100 medication once a day is all she can afford. "It's a vicious cycle," she said, explaining that because it is too painful for her eye to be exposed to direct sunlight, she works only night shifts. "People cut back. Then people like me suffer." In the past month, traffic on the five-year-old advice site JustAnswer.com rose 14 percent. The site, which allows customers to pose a health question and "bid" $9 to $30 for a doctor's or a nurse's response, had nearly 400,000 page views in 30 days, said chief executive and founder Andy Kurtzig. In a telling sign, inquiries related to stress, high blood pressure, drinking and heart pain jumped 33 percent. At the Arlington Free Clinic, the surge in people seeking care has been overwhelming, said Executive Director Nancy Sanger Pallesen. Last week, the clinic provided free preventive screenings to 19 new patients, but it turned away 27 others, she said. "Those numbers are higher than what we were seeing just this summer," she said. "Unfortunately, we can't take them all in." Even free care may not be a good deal for people with limited means. For some, the price of transportation is prohibitive; others fear discovering an illness they do not have the money to treat. Many are forced to juggle competing medical needs. Pietrangelo must balance the importance of the MRI, which detects brain lesions, and the costly medications that prevent her from relapsing. She pays co-payments of $500 per drug per month. There are no generic alternatives. "I can't shop around," she said. "My hands are tied." Most analysts expect the medical crunch to worsen. "We know from past experience that an economic downturn drives more people to be uninsured," said Len Nichols, director of health policy at the nonprofit, nonpartisan New America Foundation, a think tank. "They lose their jobs, they lose their income and their insurance." That is what happened to Tim Doss. On Sept. 18, after driving a cement truck for an Indiana company for 10 years, he was laid off. "They told me, 'As of midnight, your insurance is lapsed,' " he said. Doss, 50, and his wife have illnesses that require medications, regular doctor visits and tests. Creditors have come to their home trying to collect the $3,000 they owe in hospital co-payments from when they did have insurance. The couple decided that Doss's annual checkup took precedence because he needed it to keep his commercial driver's license. The checkup, plus blood work for a fatty liver and high cholesterol, cost $300. He persuaded his doctor to provide free samples of his liver medicine. Helen Doss does not plan to get an annual mammogram this year, even though her mother died of breast cancer at age 56. Doss was offered a free stress test at St. Vincent Indianapolis Hospital, but she is afraid it will turn up more problems that she can't take care of. "I'm just holding off for a year and hoping nothing happens," she said. Their primary-care physician, Steven Wilk, is devoting more time to helping patients decide what to postpone. "Folks are asking us to try to limit what we order or pare it down to the bare-bones minimum," he said. "As a doctor, I worry about the risk of missing something at an early stage. It could lead to more serious problems down the road." In past recessions, health-care spending briefly spiked -- as people raced to doctors before their insurance ran out -- and then fell sharply, according to industry analysts. "Many times in health care there's a lag of three to six months before it hits really hard," said Donald Fisher, president of the American Medical Group Association, which represents large, multi-specialty providers. "If they have a problem, they get it fixed while they still have health insurance. Then we see a decline in elective procedures, and then we really see a drop-off." In Plano, Tex., life feels like an endless downward spiral, Victoria Freudiger said, for herself and her husband. Losing jobs meant eliminating health insurance. No insurance meant Thomas Freudiger went to the hospital when he developed pneumonia this summer. That resulted in a $363 bill they couldn't pay. Now their credit is shot. As the economy crumbled, both started canceling preventive screenings. She hasn't had a pap smear or a mammogram for close to two years; he is overdue for a colonoscopy. They use do-it-yourself dental cement to patch their teeth and put their best face forward in job interviews. And although her doctor prescribed Neurontin for her seizures, Victoria Freudiger tries calming techniques instead of the pills. "Instead of taking them every day, I wait until I start feeling sick, and then I take them again," she said. "Both of us are suffering mentally, emotionally and physically." "The reason why health care was immune [to recessions] in the past was because most people were covered under good insurance plans," said Jean Mitchell, a professor of public policy at Georgetown University. Now, "people are realizing, 'Oh my gosh, I have to pay for this out of pocket.' "
In Durango, Colo., Marsha Porter-Norton and her husband, both entrepreneurs in their mid-40s, switched to a high-deductible plan when insurance premiums skyrocketed. Their new catastrophic policy costs $479 a month, but they have to pay the first $6,000 in expenses. She is supposed to get ultrasounds twice a year to check on the fibroid tumors in her uterus. But the couple's retirement portfolio "has taken a massive hit," and they worry about their jobs, Porter-Norton said. So, for now, she's going to wait on the $500 ultrasound. "I'm going to take a gamble," she said. Barack Obama must win the election. If McCain's healthcare overhaul comes to be, employers will stop insuring their employees, and I will be laughed out of the insurance company when I bring in the $5000 he promised me and say, "Oh by the way, I have MS...Is that a problem?" People with pre-existing conditions will be screwed. But you know what? That's not the worst of it. We may have our disease progress faster without medication coverage, etc. but what about people with heart disease? And cancer? They will literally die. Glad you made the article. Peoplw wh don't need doctors just don't get it. My new OT wanted me to see her weekly (I just wanted a hand brace) and when I refused I am convinced she "punished" me by making me wait "2-3 weeks" that has now turned to still waiting at 7 weeks out. And I take bets---I will need return visits because it won't be made properly. The medical community tactics are so dubious and transparent. Thanks for bringing the article to the light of day. Even though I can't complain about my Betaseron coverage through our Aetna policy (for which I am SO thankful), I can complain about the cost of Lexapro(my antidepressant.) I have my shrink double the dose and then I manually split the pills to make them last twice as long. Also, I get frustrated with our lack of dental or vision coverage, and I sometimes wait to see the dentist because of this. I haven't had a thorough eye exam since the double vision episode over three years ago. Same with my therapist, who would love to see me once a week, but I'm ready to cut back to once a month with our high copay! Every time I go to see a doctor, I have to make sure I've got the copay and maybe the dough to fill an Rx, which combined will come to over a $100 in one shot. sorry i have not been around much lately. I am trying to catch up now. Thanks for sharing this. It reminds me to be grateful for my health insurance and job security. @ Julie - I agree!!! @ Diane - You're still waiting for that brace? Geez. @ Patrick - Thanks and you're welcome. Good to see you. 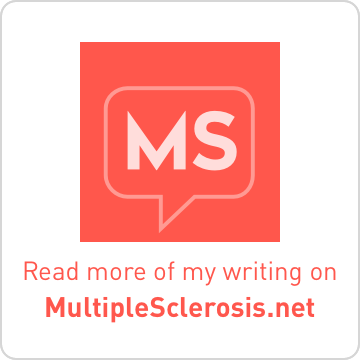 @ Jen - all those strategies which you describe are things which I told the reporter that I'm hearing from other MS patients/bloggers about how they're handling costs. @ MM - well, I don't know about celebrity. But for a 30 minute conversation, I guess I got decent space (although it makes me sound kinda flighty). lol. And technically, I haven't yet graduated to 6 mo. 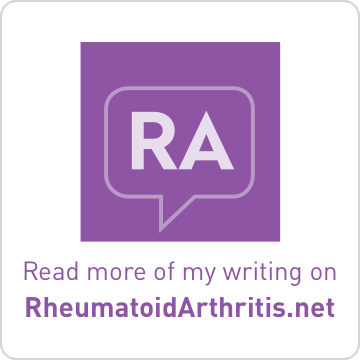 visits with my rheumo. And I had just graduated to 6 mo. visit with my neuro, but then I had to go ahead and have a relapse. aargh. Back to 3-4 mo. visits. @ Nadja - It's good to feel grateful. And I'm grateful for what I do have. I also know that after spending some time in the classroom (years ago), I could never do that full-time. You have my admiration. This is really a good post -- and important! I cannot complain...I have excellent insurance through my employer. But the downside of this is, I MUST be able to show up for work to KEEP the insurance, therefore requiring more urgent or even what might be considered expensive and drastic interventions to get me BACK to work more quickly when in a relapse. It's a vicious cycle no matter what side of the fence you're on...but I AM fortunate...still.